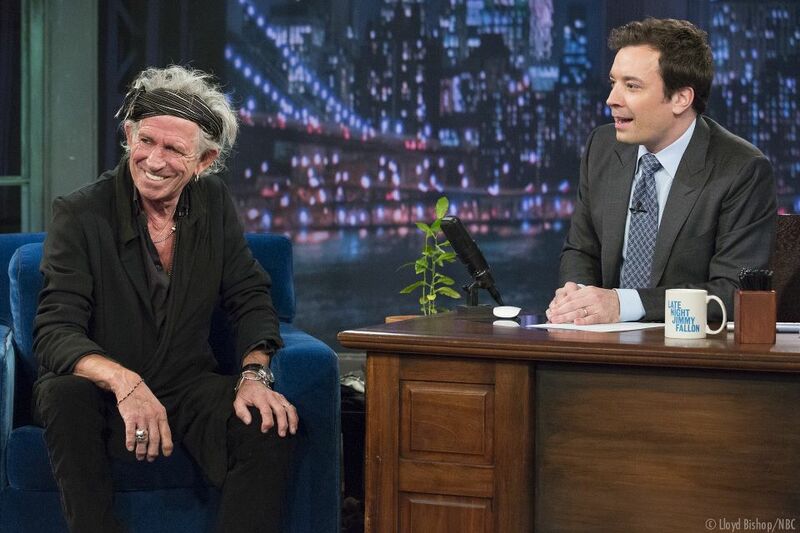 Rolling Stones guitarist Keith Richards made a rare TV appearance Monday night as a guest on Late Night with Jimmy Fallon. Keith’s visit was synced up with the day tickets went on sale for the North American “50 & Counting” tour shows this spring, which start next month in Los Angeles. Fallon and Richards spoke about a variety of topics, including Keith’s famous lemon trees, a legendary story involving saxophonist Bobby Keys, and the band’s upcoming tour. The host asked Keith if the 2013 shows will feature the same setlist as last fall’s dates, or if there will be a new lineup of songs.